Buddy’s Facebook page is one of the first dog pages I started following. Someone shared him with me and I just fell in love with his sweet little face, and the heartwarming story of his life. When Buddy was only 5 months old he was attacked by a large dog. He was paralyzed with spinal damage and his owner at that time left him to die. Fortunately, some kind hearted people stepped in and saved him. He went to a rescue group from there and then to a foster home. His foster mother eventually adopted him, and has done all she can to help to heal him in hopes he could walk again. Originally she had to flip him over manually but the care she got him improved him to the point where he can flip over himself, and he can play with his siblings as well. He has not been able to gain total use of his front legs, but a wheelchair was donated and he gets around on that. He gets around quite well with it from what I have seen on his page! Through his page, Buddy and his Mom advocate for abused, neglected, and injured animals. 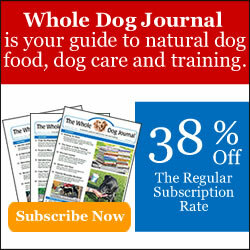 They try to increase awareness of important issues and needs in the dog world. They share many, many shelter animals in need of being rescued from high kill shelters where they could be put to sleep. Buddy has over 6,000 followers and he asks that they also share these photos, and that if they are able, they pledge money to help get these dogs out of these shelters and into rescues and hopefully ultimately homes. He doesn’t ask for a lot….just that if people can, they pledge even a little bit to help. Some people may not be aware that there are rescues all over the country working hard to get dogs out of shelters before they are put to sleep. These rescues rely on contributions to cover the costs incurred with this difficult work. Pledges given on a page like Buddy’s are used to cover basic needs for rescued dogs; fees for pulling, rabies shots, transport, and boarding, as well as additional medical care that might be needed. If you pledge to help a dog through Buddy, you are not required to pay that pledge until Buddy has let you know that the dog has been brought to safety (you don’t pay if they are adopted from the shelter, or sadly, put to sleep). Buddy will share a “freedom pic” of the dog when he gets it from the rescue that pulled the dog. He mostly works with repeat rescuers who are reputable and have pulled many dogs from shelters. He trusts them and I feel safe pledging money to help dogs through Buddy. Lola – it feels good to know that I helped! I try to pledge when I can. It is not easy because there is so much need out there. Sometimes a dog’s picture or story will just strike me and that’s when I will. I recently pledged a small amount (even $5 or $10 helps) on a white lab mix, less than a year old, who was dumped at a high kill shelter by her owners. She went on to get pulled by a rescue, and ultimately adopted out to a new home. Buddy shared the photo of her, now named Lola, with her new family. It really does make you feel good to know that you have helped, even if it’s just in a small way. It’s not all seriousness with Buddy. He also shares many adorable pictures of himself, his family and friends, and pictures of other Facebook dogs who he is friends with He will be the first to tell you that he has many, many, girlfriends, and each is very special :). He shares other pages and posts that he feels are important, and are from dogs in need or who are simply his friends who he is trying to help out. Buddy’s story of his life in and of itself is enough reason for you to go on over to Facebook and like his page. What he and his Mom are doing above and beyond that will simply warm your heart, and hopefully inspire you to do just a little bit to help also. Even just sharing his posts to spread the word of dogs in need would be a great thing. Every share or pledge brings a dog in need closer to a better life. Buddy is simply paying it forward, and going above and beyond as well. Hey Buddy….my first blog 🙂 I’ve followed you from day one and you always make my heart smile (and cry sometimes) You must know how many people love and support you and your wonderful family. You’ve come soooooo far. Love you little scruff ball. What a wonderful story!!! Buddy has helped us in so many ways rescue dogs from the high kill shelters here in Southern California. We are a small 501c3 dog rescue and it’s tough to cover all the expenses that come up with dogs pulled from these shelters. Even if they aren’t super sick, it’s expensive to neuter/spay, flea treat, worm, microchip and feed, transport and care for them often for months before they are adopted. Thank you, Christine & Steve. I can only imagine all the expenses you incur for the wonderful work you do. It truly is an awesome family you are part of, and I greatly admire all that everyone, like Buddy and his Mom, who is a part of it does. I hope that trying to get the word out is a help too. Buddy has become quite the little Ambassador for other doggies in need. We’ve all grown to love him as if he was one of our own furbabies. We are all so grateful that he found his furever home and the best Momma any doggie could wish for. I couldn’t agree more, Donita. Thank you so much for stopping by and reading my blog about him! Yes he is, and you are so right, Gizmo. There are a lot of pages out there and his is one of the special ones. I have been to Buddy’s page and he is such a sweet little guy. His owner has to be a fantastic lady and I know she loves him very much. Most REAL dog lovers would do the same as she has done with him. I have a blind one that is almost 16. There is no way that I would take him to a shelter, he has given me the best part of his life and will be with me until he goes to the Rainbow Bridge. I, also, have his sister and another young one. They are my life. I agree, Elsie, Buddy’s Mom must be a fantastic lady. You are a real dog lover too, and I think it’s great that you have a 16 year old…I hope mine will live that long. Seniors are very special, don’t you think? I could not even imagine taking my dogs to a shelter for ANY reason, because as you said, they are my life too. Thanks Janet for writing about me. And thank you for sharing about pledging. Pledges definitely make it possible for rescuers to continue doing their work, and that’s saving more lives. You are very welcome, Buddy. It was easy to write about you because you and your Mom are so sweet! I hope I was able to clarify the pledging, so that it would make more people comfortable doing so. I hope that helps in some small way to save more lives. He is a sweety, I will have to stop by his page. There are so many sad stories on fb but the word has to get out! You are right Emma, and it is hard to read all the sad stories. Luckily there are happy ones in there too! I think you would enjoy Buddy’s page. Aw, what a cutie and so glad to hear that he has a second chance on life! It’s so heartwarming to read about the good things that happen!